Think about all of the things you’ve been putting off in your life. It’s okay! Even the most organized, on-top-of-it people have to prioritize. Certain obligations take precedence over others. In fact, it’s the only way you can manage a busy schedule. When it comes to the health of your teeth and gums, you can’t afford to procrastinate. Don’t let your dentist appointments fall to the bottom of the priority list. If you’ve got a dental issue, address it right away. For instance, if you know or suspect that you have a cavity, it’s best to get a filling as soon as possible. Unchecked cavities only get worse, and eventually, you may need a much more extensive treatment. Everyone gets busy. It’s a part of modern life. That’s why you need a dental treatment that’s equal to the task. If you haven’t explored your options for fillings in some time, you may not realize that it has never been easier to remove and fill a cavity. Modern dental tools simplify the process of eliminating bacteria. 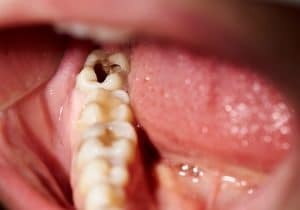 If the cavity is small enough, you may not even require anesthetic. After the bacteria have been cleaned out, your modern dental filling options include a tooth-colored resin that sets quickly and blends in with the appearance of your teeth. That’s easy. Thankfully, cavities don’t just show up one day. They aren’t a random ailment that could befall your teeth at any moment. They are a product of bacteria build up over time. That means you can prevent them with proper care. It also means that your cavities won’t just disappear either. If you’ve developed a cavity, you’ve got to treat it. Otherwise, the decay will worsen, and you could require a more serious treatment like a crown or bridge. Don’t give bacteria the chance to get the best of your teeth. Schedule an appointment to have your dentist remove your cavity and administer a modern dental filling. Dr. Flynn is a trusted name in dental restorations. Make an appointment with Michael Flynn Dentistry in West Allis, WI by calling 414-541-8250 today.